Italy’s far-right Interior Minister Matteo Salvini threatened Sunday (7 October) to shut the country’s airports after media reported that Germany planned to send charter flights of rejected asylum-seekers to Italy. “If someone in Berlin or Brussels thinks of dropping dozens of migrants via non-authorised charter flights in Italy, they should know that there is not and there will be no airport available,” Salvini said on Twitter. “We will close the airports like we closed our ports,” he added in reference to Italy’s decision this summer to ban migrant rescue boats from entering its harbours. His comments came after German news agency DPA reported Sunday that Berlin intended to start returning rejected asylum-seekers to Italy via chartered flights. The first flight was due to leave Monday, with another scheduled for October 17, according to DPA. The migrants were mainly Nigerians who had entered the European Union via Italy, the agency said. Similarly, Italian newspaper La Repubblica reported Saturday that Germany’s federal migration office was sending letters to asylum-seekers, warning them of their “imminent” return to Italy under the so-called Dublin rules. That controversial regulation assigns responsibility for migrants to the nation of first entry. However, Germany’s interior ministry told DPA later Sunday that “no deportations (of migrants) to Italy are planned in the coming days”. Immigration remains a hot-button issue among European Union members despite a major drop in arrivals following the 2015 peak of the continent’s migration crisis. Germany has welcomed more than a million asylum-seekers, many fleeing war-torn Syria or Iraq, over the past three years. In the face of rifts within her conservative camp and rising xenophobia, Chancellor Angela Merkel has pledged to forge bilateral agreements with EU partner countries for migrant returns. But while Germany was able to strike deals with frontline nations Greece and Spain, Italy has been a much more reluctant partner at the negotiating table. 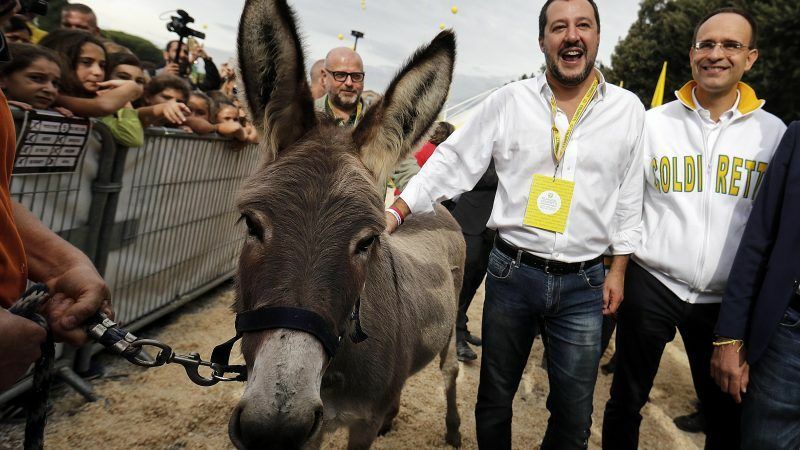 Salvini, whose far-right Northern League party forms a ruling coalition with the anti-establishment Five Star Movement, accuses other EU members of letting Italy shoulder an unfair share of migrants.